Back when I lived in New Orleans, Summer was my go to girl for all things blogging and life related. We got into a habit of meeting on Wednesday nights to help each other with blogging issues, make plans for the future and hold each other accountable. It was great. Then I moved. It’s so much harder to make time for a phone call. That doesn’t even make sense because theoretically it is easier to pick up the phone than to drive somewhere, but for one reason or another, our weekly sessions have turned into sporadic games of phone tag. So when Summer got ahold of me and told me she was traveling to Europe this summer I was thrilled for her and slightly jealous. Then she invited me to come out and join her! If I am invited to travel (pretty much anywhere in the world), there’s a 95% chance I’ll say yes. Summer and I have been planning to meet somewhere ever since I moved. We’ve looked at New York, DC and Charleston. But you know what? Portugal is way cooler! So now the challenge was booking a flight to Portugal just two weeks out, at the beginning of their peak season. Sounds fun right? After hours (seriously, hours) of pouring over various sites like, Travelstart Airlines for competitive prices. Here are my tips for finding a last minute flights at a price you don’t hate. This is your starting point. It’s a chance to get a realistic idea of what a flight is going to cost you. And of course, the more research you put in the more options and information you will get out of it. My favorite search engines are Skyscanner and Google’s ITA Matrix. I always use them both. Skyscanner get pretty creative with pairing up flight segments to give you a variety of options using multiple airlines. The ITA Matrix is intuitive, simple and powerful after you give it a few tries – you can really tweak the search parameters to get the search results you want. Other sites for searching flight deals include Kayak, Momondo, Hipmunk and Airfare Watchdog. With that being said, I personally only use these tools for searching and always book directly with the airlines. After you plug in your first “ideal search” into a travel site like Skyscanner, try to be flexible with your search parameters. I was looking for flight on a Friday morning and decided to conduct a search for Thursday night as well. And if your dates are at all flexible this will lead to the most affordable options. Finding a flight to Portugal last minute really reduced my options. Most flights at ideal times were totally booked or outrageously priced. When you get stuck like me and can’t adjust the date or time of your flight it’s time to get creative with airports. Sure DCA and IAD are closest to me, but what about BWI or even Philly, Newark and NYC? I noticed American operated flights had layovers in those cities meaning I could perhaps take a bus to and a direct flight out of one of those cities for less than the flight out of DC. The same can be done for your airport of arrival. I met travel expert Charles McCool at a Q+A recently and he offered a great idea for how to “deconstruct” a trip. If you want to go to Brazil but all the flights are outrageous from your city, work backwards. Search all of the flight going out of Rio, or better yet sign up for alerts, to find out which flight paths are cheapest. He found a travel deal for less than $200 RT flying between Cancun and Brazil. For the cost to fly to Cancun plus the RT ticket he was able to construct an affordable route to Brazil. Layovers offer quite a few options. When I searched flights to Portugal, I found Aeroflot and Turkish Airlines offered inexpensive options with long layovers in Moscow and Istanbul, respectively. If you have the time, maximize a layover and take up to 23 hours to explore a city. Many seasoned travelers make a habit of adding a city to their itinerary this way. And Turkish Airlines is amazing. They offer free tours of the city if you time your layover for it. For me though, I didn’t have the time to get a Russian visa processed or spend 30 hours in transit via Istanbul. My trip is just one week long so I didn’t want to waste any time traveling out of my way. In this case prioritize nonstop flights or those with layovers in your home country. I chose to spend the extra money to fly out of DC and layover in Newark briefly before a direct flight into Lisbon because I wanted to prioritize my time in Portugal. When layovers don’t work, look at flying into a different city in Europe. Flying into Lisbon ain’t cheap. Like, ever. I learned Milan was almost half the price to fly into. From Italy I could hop on a cheap Ryan Air or EasyJet flight to Portugal. Make sure you understand which airport you’re booking though, because budget airlines in Europe tend to fly out of the smaller airports. Here is a list of cheap cities to fly into in Europe to give you a few ideas, but this tip works for any region, not just Europe. In the end I went for an open jaw (multi-city) flight with United that I found on the ITA Matrix and booked directly on the airlines site. It cost me $1,270 and flies from Dulles to Lisbon (with a layover in Newark) and returns from Lisbon to O’Hare in Chicago (with a layover in Newark) because a) I have a wedding to attend when I return, b) it was $200 cheaper to fly back to Chicago than DC and c) my travel time was short and my dates weren’t flexible. If I had more flexibility with my time I would have flown into Milan, Madrid or Barcelona (cheapest flights to Europe I found), and spent a day or two there before catching a budget flight to Lisbon. 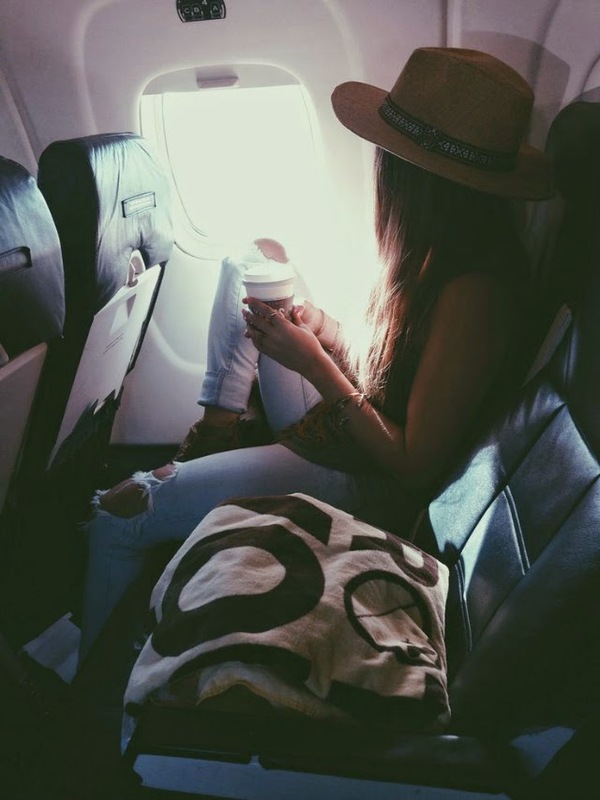 Your first time around finding a flight can be overwhelming, exhausting and stressful. It still gets to that point for me sometimes. But if you approach it like a game or challenge of sorts it is super rewarding when you find the best option for your trip. And I have found that the process gets so much easier with time and practice. Need help booking your next flight? Let me know in the comments below or shoot me an email. I’m happy to help you with the process! Are you a well-seasoned traveler? What are your tricks for booking affordable tickets right before a trip? Let me know when your searching again, I have the airlines GDS system at home.